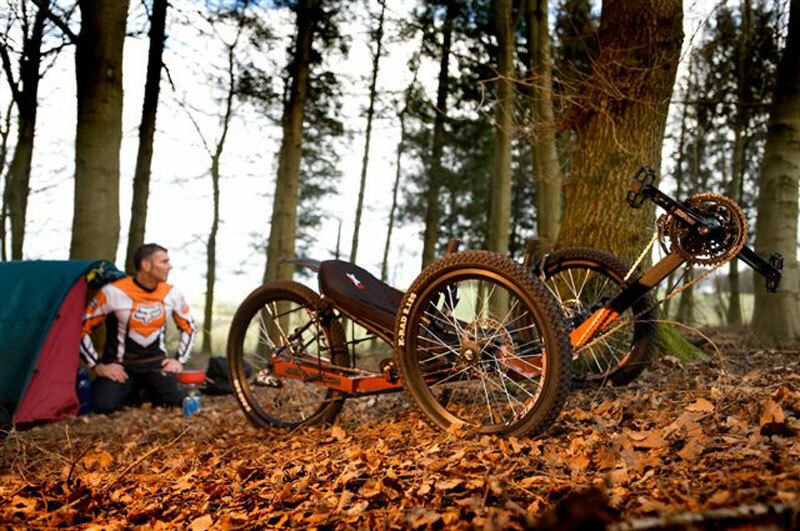 Thus was born the KMX brand which has since been described as “a cool fusion of go-kart, BMX and mountain bike” with a remarkable stability due to its low centre of gravity. 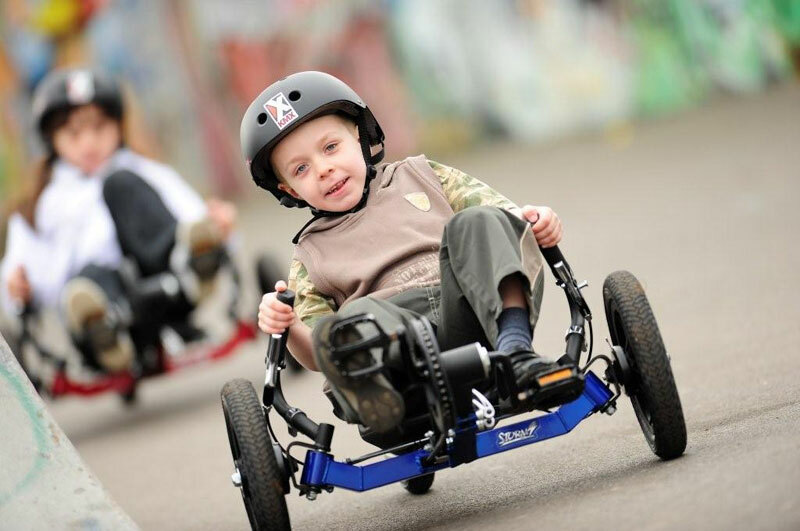 After two years of fine tuning, Barry and wife Yvonne launched KMX in 2002 with a trike for children, the “K Class.” Trikes for adults soon followed and today the company sells seven different models — for kids, adults and more serious cyclists. Whether someone wants to race on the flat, cycle up and down mountains, do stunts, ride to work in the open air or leisurely tour the countryside, there’s now a KMX designed to do it. Today, KMXs are being sold in the UK, Ireland, on the European continent and in America, Australia, Japan and other parts of Asia. More importantly, from Barry and Yvonne’s perspective, KMX are building an enviable reputation for outstanding performance and customer care. In 2003 they won an award for Best New Product at the International Cycle Show in London and more recently, an accolade for being an up-and-coming UK exporter. 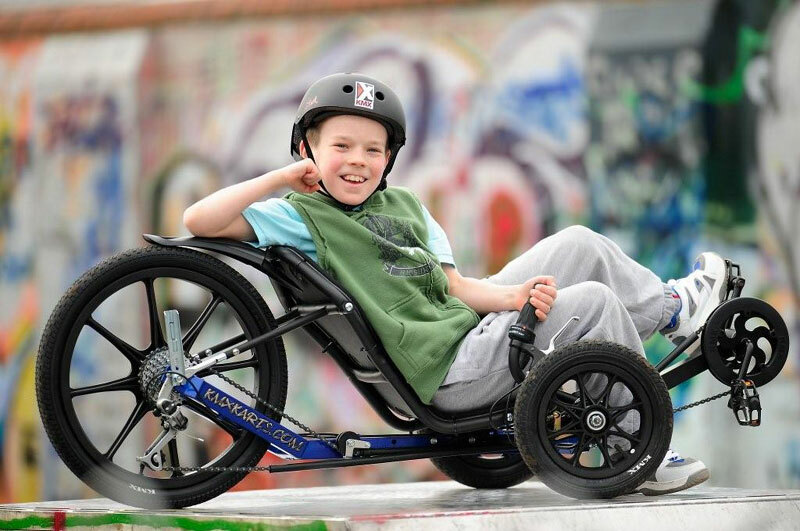 All KMX trikes are manufactured with 3 basic qualities in mind: Value for Money, Quality and most of all — FUN! The lightest and fastest of the KMX range, it’s a demon for the experienced rider or racer over 18. A light-weight wheel set with narrow, high-pressure tyres and road-bike-specific componentry reward riders with superior road-touring performance. Own it – and the road is yours. Viper, Careful you don’t get bit. This high-specification KMX for experienced riders chews up the road. Improved frame design raises ground clearance. A higher seat delivers better road visibility while a low centre of gravity ensures comfortable, stable cornering. With 27 gears and an Avid brake system, the power of the Viper is completely under your control. It’s a winner for long-distance touring or commuting to work. For men and women who crave exhilarating off-road riding on any terrain. This jack-of-all-trades KMX has a robust design with 24 gears, large spoked wheels and added ground clearance making it fast on the road and unstoppable off-road. Make no mistake, the Cobra is dangerously fun. Typhoon, The warning has been issued. Especially suited for everyone from 14 and over who just want to have fun. 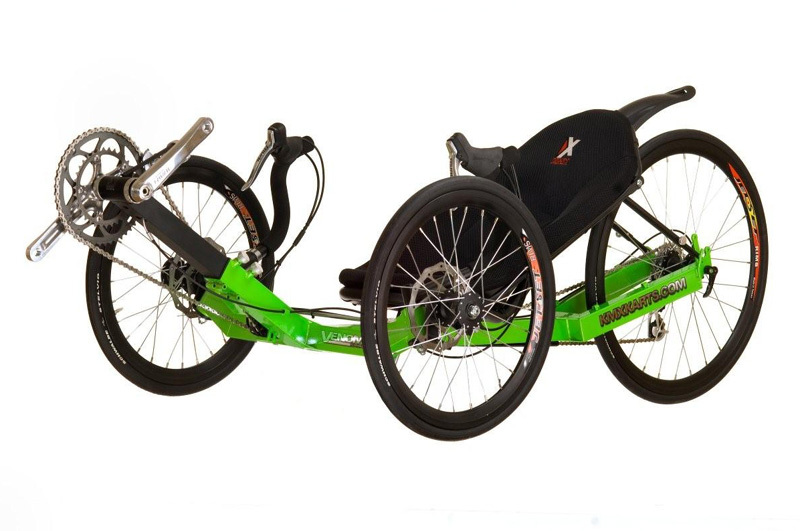 Get fit and work those stomach muscles on this comfortable, low-maintenance, easy-to-handle KMX with stylish spoked wheels, adjustable seat and handle bars. The Typhoon packs a hefty punch of wind-in-your-hair riding action so you can exercise in style and comfort. Torqued for teens over 14 and younger men who want a BMX on three wheels. 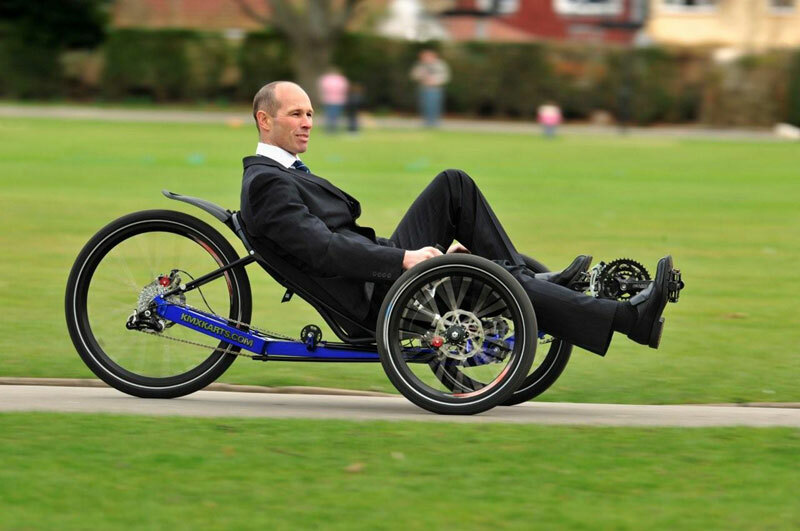 Its robust frame and steel construction over mag wheels ensures a ride of unrelenting exhilaration. Jump it, skid it or push it to the limit – the Tornado does its stuff, on or off the road. Cyclone, You can run … or you can ride. For young riders, 9 to 13, looking for the adrenalin rush of the KMXperience. Enough gears to climb steep hills, tear through the forest or power along the straights. 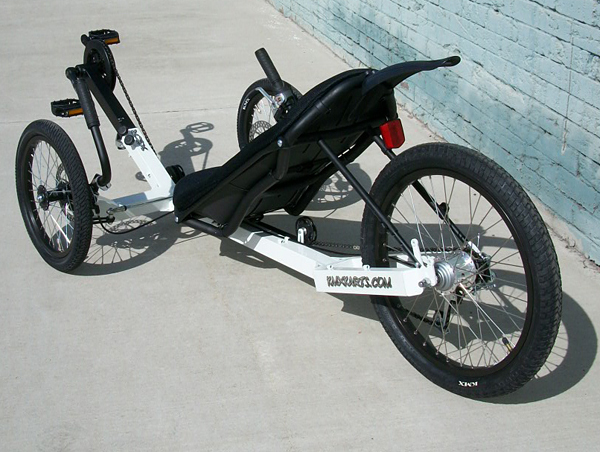 Its larger steel frame, bigger seat and adjustable pedals take weights of up to 145 lbs. Engineered to handle the punishment of bigger kids, it’ll blow away the competition. A single-gear KMX for boys and girls, aged 5 to 10. Tough mag wheels and stable construction make it safe and sound. When it takes a beating, it keeps on rolling. For stunts, racing or joy riding in parks or playgrounds, the Storm performs. 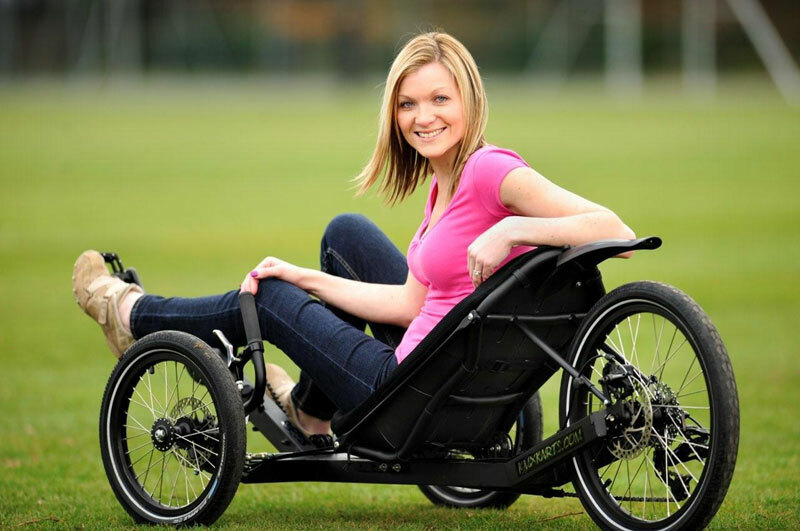 Plus an adjustable seat and pedals grow with your child. So put the skateboard back in the toybox.